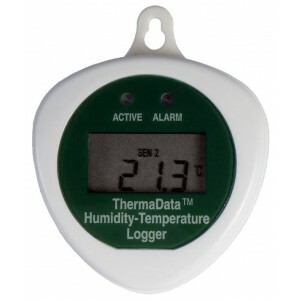 The ThermaData logger is connected to a PC via a USB cradle or RS232 lead. By clicking the relevant icon the data can be downloaded and displayed either as a graph, table or summary. The information can be analysed by zooming in, storing to disc or exporting as a text (.txt) file to other software packages. 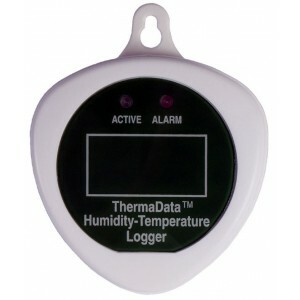 The ThermaData logger software is backward compatible, and will work equally as well with our older style loggers. The software is both powerful and sophisticated, yet userfriendly enabling temperature data to be organised and analysed to provide management information. 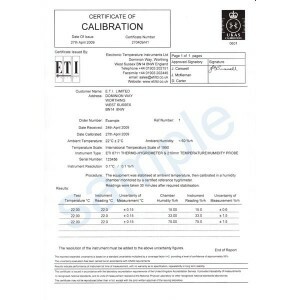 The software allows the user to programme the logging sample/interval rate (0.1 to 255 minutes), the real-time clock, °C or °F, delayed start (maximum 23 hours, 59 minutes) or select a magnetic start option. It is also possible to include a 32-character user ID for each logger. 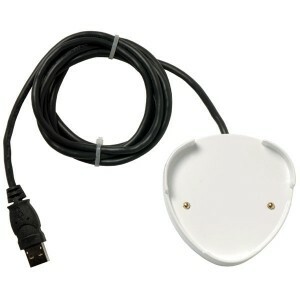 The ThermaData logger cradle is supplied complete with the ThermaData logger PC software and a start magnet. Each USB cradle is supplied with a one metre PVC lead.